Starboy received generally positive reviews from critics and debuted at number one on the US Billboard 200, with 348,000 album-equivalent units, 209,000 of which were pure sales. It also debuted at number one on Billboard's Canadian Albums Chart. In January 2019, the album was certified triple platinum by the Recording Industry Association of America (RIAA). The album won the Grammy Award for Best Urban Contemporary Album at the 60th Annual Grammy Awards. The vibe on Starboy comes from that hip-hop culture of braggadocio from Wu-Tang and 50 Cent, the kind of music I listened to as a kid. Bragging just sounds good, man. I was a teenager when I saw Scarface, and even though it was unbelievable, it's kind of cool Tony Montana could survive all those gunshots and not feel them. On September 21, 2016, the album overall and its title was officially announced, with its release slated for November 25, 2016. The album's sleeve is photographed and designed by Nabil Elderkin. The CD booklet featured 22 pages of 11 portraits and no album credits. On September 21, 2016, the album's lead single, "Starboy", was released digitally on music stores and streaming services. The song features guest appearances from French electronic duo Daft Punk. The music video for the song premiered on September 28. The song peaked at number one on the US Billboard Hot 100. "I Feel It Coming" was serviced to British contemporary hit radio on November 24, 2016, and later to rhythmic contemporary radio on December 6, 2016, as the album's second single. The song peaked at number four on the US Billboard Hot 100. "Party Monster" was released to urban contemporary radio on December 6, 2016, as the album's third single. The song peaked at number 16 on the US Billboard Hot 100. "Reminder" was released to rhythmic contemporary radio on May 9, 2017, as the album's fourth single in the United States. The song peaked at number 31 on the US Billboard Hot 100. "Rockin'" was released to contemporary hit radio in France on May 9, 2017, as the album's fourth international single. The song peaked at number 44 on the US Billboard Hot 100. "Die for You" was released to rhythmic contemporary radio on September 19, 2017, as the album's fifth and final single in the United States. The song peaked at number 43 on the US Billboard Hot 100. "Secrets" was released to radio in Italy on November 10, 2017, as the album's final international single. The Weeknd was a musical guest on the season 42 season premiere of Saturday Night Live. He promoted the album by performing both "Starboy" and "False Alarm" and starred in a brief cameo on the "Weeknd Update" sketch, where he acknowledged his new haircut. On November 20, 2016, The Weeknd sang "Starboy" at the 2016 American Music Awards. Four days later, The Weeknd appeared on The Tonight Show Starring Jimmy Fallon to perform both "I Feel It Coming" and "Starboy". On December 6, he performed at the 2016 Victoria's Secret Fashion Show on CBS. On February 12, 2017, The Weeknd and Daft Punk performed at the 2017 Grammy Awards. On November 25, 2016, all of the album's tracks played throughout The Weeknd's interview with Zane Lowe for Beats 1. On November 23, 2016, The Weeknd released a 12-minute-long short film in promotion of the album, directed by Grant Singer, who also directed the "Starboy" music video. Named Mania (stylized as M A N I A), it features the songs such as "All I Know" featuring Future, "Sidewalks" featuring Kendrick Lamar, "Secrets", "Die for You", "Party Monster" and "I Feel It Coming" featuring Daft Punk. It stars French model Anais Mali as the female protagonist. Starboy received generally positive reviews from critics. At Metacritic, which assigns a normalized rating out of 100 to reviews from mainstream publications, the album received an average score of 67, based on 25 reviews. Annie Zaleski of The A.V. Club praised the album saying, "The record is a few songs too long, and it loses steam as it progresses. But such imperfections are par for the course: He'd rather express everything he's feeling than put forth an airbrushed or idealized version of himself. In that sense, Starboy is one of the most confident releases of the year, one bold enough to reveal the cracks in The Weeknd's façade for the sake of resonant art." Michael Madden of Consequence of Sound said, "It would help if more of the album were idiosyncratic that way, but as is, Starboy is still the sound of Tesfaye knowing he has what it takes to be a major figure in pop music for a very long time." Neil McCormick of The Daily Telegraph gave the album a positive review stating, "What is surprising is how seamless and integrated the sound is—a really luxurious, supple groove of sparkling electronica and sinuous, melodic vocals." Nolan Feeney of Entertainment Weekly wrote: "While musicians writing about coping with newfound celebrity is one of pop's oldest tropes, the Weeknd avoids the usual clichés with observations and anecdotes that feel specific and genuine." Ryan B. Patrick of Exclaim! saying "Those wishing for a return to the Trilogy days will have to bit a tad longer; across 18 tracks, the Weeknd proves he's ready for primetime here, but there's still a sense of feeling out the new parameters." 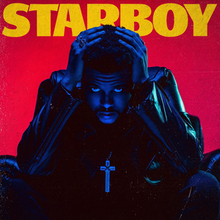 Mehan Jayasuriya of Pitchfork said, "Starboy, by way of contrast [to Trilogy], feels more like an opportunistic compilation of B-sides than an album. Who is the Weeknd? At this point, even the man behind the curtain might not know." In a mixed review, AllMusic's Andy Kellman stated: "The productions—the majority of which involve Doc McKinney and/or Cirkut, low-lighted by maneater dance-punk dud "False Alarm"—are roughly as variable in style as they are in quality. When pared down to its ten best songs, Starboy sounds like Tesfaye's most accomplished work." Alexis Petridis of The Guardian said, "There are things worth hearing on Starboy. It seems to capture an artist in a slightly awkward state of flux, unsure whether to cravenly embrace the kind of pop stardom that gets you on the shortlist for the Nickelodeon Kids' Choice awards or throw caution to the wind and do something more interesting artistically. Starboy hedges its bets and tries to do both. You can see why, but it makes for a curiously uneven album." In another mixed review, Rolling Stone's Mosi Reeves stated: "Despite an overlong hour-plus runtime and surplus of filler, Starboy does have highlights. ... But for longtime fans that believe the Weeknd is one of the major R&B artists of the decade, Starboy will ultimately seem like a disappointment." Starboy debuted at number one on the US Billboard 200 with 348,000 album-equivalent units, of which 209,000 were pure album sales. In the US, it was the third-largest debut sales week of 2016, the second-biggest week for album streams ever (175.2 million streams, behind Drake's Views), and is The Weeknd's second number one album. Following the release of Starboy, all 18 songs from the album charted on the Billboard Hot 100. At the time, it marked the second-best total simultaneous Hot 100 entries, after Drake charted 20 songs at the same time in May 2016. On January 30, 2019, Starboy was certified triple platinum by the Recording Industry Association of America (RIAA) for combined sales, streaming and track-sales equivalent of three million units. Starboy was ranked as the third most popular album of the year in 2017 on the Billboard 200. Credits adapted from The Weeknd's official website and album liner notes. "Secrets" contains a portion of "Pale Shelter", written by Roland Orzabal; and embodies a portion of "Talking in Your Sleep", written by Coz Canler, Jimmy Marinos, Wally Palamarchuk, Mike Skill and Peter Solley. ^ a b c d Reeves, Mosi (November 28, 2016). "Review: The Weeknd's 'Starboy'". Rolling Stone. Archived from the original on November 29, 2016. Retrieved November 28, 2016. ^ Glaysher, Scott (November 28, 2016). "The Weeknd Starboy Album Review". HipHopDX. Archived from the original on December 12, 2016. Retrieved December 14, 2016. ^ a b c McCormick, Neil (November 25, 2016). "The Weeknd's Starboy is glistening, interstellar R&B of the highest quality – review". The Daily Telegraph. Archived from the original on November 27, 2016. Retrieved November 28, 2016. ^ "2018 Grammys Winners List: See Who Won The Music Awards". Variety. January 28, 2018. Retrieved January 28, 2018. ^ "The Weeknd Hints at His Next Album Release". The Source. March 13, 2016. Archived from the original on October 10, 2016. Retrieved October 10, 2016. ^ "The Weeknd Is Reportedly Working with Daft Punk". Complex. August 23, 2016. Archived from the original on August 24, 2016. Retrieved August 23, 2016. ^ Horner, Al (September 7, 2016). "The Weeknd reveals his new album is inspired by The Smiths and David Cronenberg". Fact. Archived from the original on October 12, 2016. Retrieved October 10, 2016. ^ "50 Cent, Wu-Tang Are Influences on The Weeknd's New 'Starboy' Album – XXL". XXL. Archived from the original on March 25, 2017. Retrieved March 24, 2017. ^ Bruner, Raisa (September 21, 2016). "The Weeknd Teases Details About His New Album". Time. Archived from the original on October 10, 2016. Retrieved October 10, 2016 – via Time Inc.
^ Sheldon Pearce (September 21, 2016). "The Weeknd Announces New Album Starboy". Pitchfork. Archived from the original on September 21, 2016. Retrieved September 22, 2016. ^ "The Weeknd announces Starboy album with artwork by Nabil". Fact. September 21, 2016. Archived from the original on October 11, 2016. Retrieved October 10, 2016. ^ Robinson, Will (September 21, 2016). "The Weeknd, Daft Punk release Starboy single". Entertainment Weekly. Archived from the original on August 3, 2017. Retrieved June 13, 2017. ^ Iyengar, Rishi (September 21, 2016). "Listen to the Weeknd's New Single 'Starboy' With Daft Punk". Time. Archived from the original on December 16, 2016. Retrieved June 13, 2017. ^ Brett Berk (September 28, 2016). "The Weeknd's 'Starboy' Lyrics & Video a Love Letter to Luxury Cars". Billboard. Archived from the original on October 2, 2016. Retrieved October 3, 2016. ^ a b c d e f "The Weeknd Chart History: Hot 100". Billboard. Retrieved April 23, 2018. ^ "BBC – Radio 1 – Playlist". BBC Radio 1. BBC. Archived from the original on November 26, 2016. Retrieved 2 December 2016. ^ "Top 40 Rhythmic Future Releases". All Access. All Access Music Group. Archived from the original on November 29, 2016. Retrieved November 29, 2016. ^ "Urban/UAC Future Releases". All Access. All Access Music Group. Archived from the original on December 6, 2016. Retrieved December 5, 2016. ^ "FMQB: Available for Airplay". FMQB. Archived from the original on May 1, 2017. Retrieved May 1, 2017. ^ ""Rockin'": The Weeknd électrise le dancefloor avec son nouveau single" (in French). Purebreak Charts. Archived from the original on August 22, 2017. Retrieved May 31, 2017. ^ "Top 40-Rhythmic Future Releases". All Access. Archived from the original on September 14, 2017. Retrieved September 14, 2017. ^ "The Weeknd – Secrets (Radio Date: 10-11-2017)" (in Italian). EarOne. November 6, 2017. Archived from the original on November 6, 2017. Retrieved April 10, 2019. ^ Young, Alex (October 2, 2016). "The Weeknd kicks off Saturday Night Live's 42nd season in style – watch". Consequence of Sound. Archived from the original on October 7, 2016. Retrieved October 10, 2016. ^ Kaye, Ben (November 20, 2016). "The Weeknd performs "Starboy" at American Music Awards – watch". Consequence of Sound. Archived from the original on November 29, 2016. Retrieved November 28, 2016. ^ Schwartz, Danny (November 25, 2016). "The Weeknd Performs "Starboy" & "I Feel It Coming" On Fallon". HotNewHipHop. Archived from the original on November 27, 2016. Retrieved November 28, 2016. ^ Redfearn, Dominique (December 6, 2016). "Watch Lady Gaga, Bruno Mars & The Weeknd Perform at the Victoria's Secret Fashion Show". Billboard. Archived from the original on February 2, 2017. Retrieved January 28, 2017. ^ "The Weeknd, Daft Punk Grammy Performance: "Starboy"/"I Feel It Coming"". February 13, 2017. Archived from the original on February 18, 2017. Retrieved February 17, 2017. ^ O'Connor, Samantha (November 27, 2016). "Watch The Weeknd's first full on-camera interview with Zane Lowe". The 405. Archived from the original on November 29, 2016. Retrieved November 28, 2016. ^ a b "Watch The Weeknd's New Short Film Mania". Pitchfork. November 23, 2016. Archived from the original on November 24, 2016. Retrieved November 23, 2016. ^ a b Morris, Jessie (November 23, 2016). "The Weeknd Shares 'Mania' Short Film". Complex. Archived from the original on March 4, 2017. Retrieved March 3, 2017. ^ a b "Watch The Weeknd – M A N I A on YouTube". YouTube. 2016-11-23. Archived from the original on 2016-11-24. Retrieved 2016-11-23. ^ a b Williams, Holly (November 25, 2016). "The Weeknd Drops 'Starboy' After Epic Preview Film 'Mania'". Contactmusic.com. Archived from the original on June 18, 2017. Retrieved June 19, 2017. ^ "The Weeknd's Short Film, Mania, Is Here, Complete With Panther". Vulture. November 23, 2016. Retrieved October 31, 2018. ^ "Starboy by The Weeknd reviews". AnyDecentMusic?. Archived from the original on December 1, 2016. Retrieved November 30, 2016. ^ a b "Reviews for Starboy by The Weeknd". Metacritic. Archived from the original on November 27, 2016. Retrieved November 28, 2016. ^ a b Kellman, Andy. "Starboy – The Weeknd". AllMusic. Archived from the original on December 1, 2016. Retrieved November 30, 2016. ^ a b Zaleski, Annie (November 28, 2015). "The Weeknd's resonant Starboy embraces the downside of fame". The A.V. Club. Archived from the original on November 29, 2016. Retrieved November 28, 2015. ^ a b Feeney, Nolan (November 29, 2016). "The Weeknd's Starboy: EW Review". Entertainment Weekly. Archived from the original on November 30, 2016. Retrieved November 29, 2016. ^ a b Petridis, Alexis (November 25, 2016). "The Weeknd: Starboy review – an artist in an awkward state of flux". The Guardian. Archived from the original on November 28, 2016. Retrieved November 28, 2016. ^ Gill, Andy (December 1, 2016). "Album reviews: The Rolling Stones - Blue & Lonesome, The Weeknd - Starboy, Peter Doherty - Hamburg Demonstrations and more". The Independent. Archived from the original on December 1, 2016. Retrieved December 1, 2016. ^ Bartleet, Larry (November 30, 2016). "The Weeknd – 'Starboy' Review". NME. Archived from the original on November 30, 2016. Retrieved December 1, 2016. ^ a b Jayasuriya, Mehan (November 30, 2016). "The Weeknd: Starboy". Pitchfork. Archived from the original on November 30, 2016. Retrieved November 30, 2016. ^ Doherty, Niall (February 2017). "The Weeknd: Starboy". Q (368): 119. ^ Madden, Michael (November 29, 2016). "The Weeknd – Starboy". Consequence of Sound. Archived from the original on November 30, 2016. Retrieved November 30, 2016. ^ Patrick, Ryan B. (November 30, 2016). "The Weeknd Starboy". Exclaim!. Archived from the original on December 1, 2016. Retrieved November 30, 2016. ^ "50 Best Albums of 2016". Billboard. December 12, 2016. Archived from the original on December 14, 2016. Retrieved December 15, 2016. ^ "The 50 Best Albums of 2016". Complex. December 5, 2016. Retrieved December 5, 2016. ^ "50 Best Albums of 2016". Variance. Archived from the original on December 20, 2016. Retrieved December 23, 2016. ^ a b Caulfield, Keith (December 4, 2016). "The Weeknd's 'Starboy' Bows at No. 1 on Billboard 200 With Third-Biggest Debut of 2016". Billboard. Archived from the original on December 5, 2016. Retrieved December 5, 2016. ^ "The Weeknd Charts Entire 'Starboy' Album on Hot 100". Billboard. Retrieved January 4, 2019. ^ a b "American album certifications – The Weeknd – Starboy". Recording Industry Association of America. Retrieved January 6, 2019. If necessary, click Advanced, then click Format, then select Album, then click SEARCH. ^ a b "Top Billboard 200 Albums – Year-End 2017". Billboard. Retrieved December 11, 2017. ^ a b "Starboy liner notes" (PDF). umusic. Archived (PDF) from the original on 21 December 2016. Retrieved 11 January 2017. ^ "Australiancharts.com – The Weeknd – Starboy". Hung Medien. Retrieved December 3, 2016. ^ "Austriancharts.at – The Weeknd – Starboy" (in German). Hung Medien. Retrieved December 8, 2016. ^ "Ultratop.be – The Weeknd – Starboy" (in Dutch). Hung Medien. Retrieved December 3, 2016. ^ "Ultratop.be – The Weeknd – Starboy" (in French). Hung Medien. Retrieved December 3, 2016. ^ "The Weeknd Chart History (Canadian Albums)". Billboard. Retrieved December 24, 2016. ^ "Top Stranih [Top Foreign]" (in Croatian). Top Foreign Albums. Hrvatska diskografska udruga. Retrieved January 31, 2017. ^ "Czech Albums – Top 100". ČNS IFPI. Note: On the chart page, select 201648 on the field besides the word "Zobrazit", and then click over the word to retrieve the correct chart data. Retrieved December 5, 2016. ^ "Danishcharts.dk – The Weeknd – Starboy". Hung Medien. Retrieved December 7, 2016. ^ "Dutchcharts.nl – The Weeknd – Starboy" (in Dutch). Hung Medien. Retrieved December 3, 2016. ^ "The Weeknd: Starboy" (in Finnish). Musiikkituottajat – IFPI Finland. Retrieved January 8, 2017. ^ "Le Top de la semaine : Top Albums Fusionnes – SNEP (Week 2, 2017)" (in French). Syndicat National de l'Édition Phonographique. Retrieved January 18, 2017. ^ "Offiziellecharts.de – The Weeknd – Starboy" (in German). GfK Entertainment Charts. Retrieved December 3, 2016. ^ "Official IFPI Charts – Top-75 Albums Sales Chart (Week: 4/2017)". IFPI Greece. Archived from the original on February 10, 2017. Retrieved February 13, 2017. ^ "GFK Chart-Track Albums: Week 48, 2016". Chart-Track. IRMA. Retrieved December 3, 2016. ^ "Italiancharts.com – The Weeknd – Starboy". Hung Medien. Retrieved December 24, 2016. ^ スターボーイ | ザ・ウィークエンド [Starboy | The Weeknd] (in Japanese). Oricon. Archived from the original on May 6, 2017. Retrieved June 13, 2017. ^ "Top Album – Semanal (del 20 de Enero al 26 de Enero)" (in Spanish). Asociación Mexicana de Productores de Fonogramas y Videogramas. Archived from the original on February 17, 2017. Retrieved February 16, 2017. ^ "Charts.org.nz – The Weeknd – Starboy". Hung Medien. Retrieved December 2, 2016. ^ "Norwegiancharts.com – The Weeknd – Starboy". Hung Medien. Retrieved December 3, 2016. ^ "Oficjalna lista sprzedaży :: OLiS - Official Retail Sales Chart". OLiS. Polish Society of the Phonographic Industry. Retrieved July 13, 2017. ^ "Portuguesecharts.com – The Weeknd – Starboy". Hung Medien. Retrieved December 24, 2016. ^ "Official Scottish Albums Chart Top 100". Official Charts Company. Retrieved December 3, 2016. ^ 2016년 50주차 Album Chart (in Korean). Gaon Music Chart. Archived from the original on December 26, 2016. Retrieved December 24, 2016. ^ "Spanishcharts.com – The Weeknd – Starboy". Hung Medien. Retrieved December 24, 2016. ^ "Swedishcharts.com – The Weeknd – Starboy". Hung Medien. Retrieved December 3, 2016. ^ "Swisscharts.com – The Weeknd – Starboy". Hung Medien. Retrieved December 7, 2016. ^ 第51 週 統計時間：2016/12/16 – 2016/12/22 (in Chinese). Five Music. Archived from the original on December 24, 2016. Retrieved December 24, 2016. ^ "Official Albums Chart Top 100". Official Charts Company. Retrieved December 3, 2016. ^ "Official R&B Albums Chart Top 40". Official Charts Company. Retrieved December 3, 2016. ^ "The Weeknd Chart History (Billboard 200)". Billboard. Retrieved December 24, 2016. ^ "The Weeknd Chart History (Top R&B/Hip-Hop Albums)". Billboard. Retrieved December 24, 2016. ^ "ARIA Charts – End of Year Charts – Top 50 Urba Albums 2016". Australian Recording Industry Association. Retrieved January 3, 2018. ^ "Jaaroverzichten Albums 2017" (in Dutch). Ultratop. Retrieved January 3, 2018. ^ "Jaaroverzichten – Album 2016" (in Dutch). dutchcharts.nl. Hung Medien. Archived from the original on December 23, 2016. Retrieved December 26, 2016. ^ "Top Albums annuel (physique + téléchargement + streaming) – 2016" (in French). Syndicat National de l'Édition Phonographique. Archived from the original on January 17, 2018. Retrieved January 17, 2018. ^ "Årslista Album – År 2016" (in Swedish). Sverigetopplistan. Archived from the original on September 19, 2017. Retrieved January 6, 2018. ^ "End of Year Album Chart Top 100 – 2016". Official Charts Company. Archived from the original on April 3, 2015. Retrieved December 31, 2016. ^ "ARIA End of Year Urban Albums 2017". Australian Recording Industry Association. Retrieved January 10, 2018. ^ "Jaaroverzichten Albums 2017" (in Dutch). Ultratop. Retrieved December 21, 2017. ^ "Rapports Annuels Albums 2017" (in French). Ultratop. Retrieved December 21, 2017. ^ "Top Albums annuel (physique + téléchargement + streaming)" (in French). Syndicat National de l'Édition Phonographique. 2017. Archived from the original on August 15, 2018. Retrieved August 26, 2018. ^ "Digital Albums – Year-End 2017". Billboard. Retrieved January 18, 2018. ^ "Top R&B/Hip-Hop Albums – Year-End 2017". Billboard. Retrieved December 11, 2017. ^ "2018년 Album Chart" (in Korean). Gaon Music Chart. Retrieved December 31, 2018. ^ "Top R&B/Hip-Hop Albums – Year-End 2018". Billboard. Retrieved December 6, 2018. ^ "ARIA CHART WATCH #416". auspOp. April 15, 2017. Archived from the original on April 15, 2017. Retrieved April 15, 2017. ^ "Austrian album certifications – The Weeknd – Starboy" (in German). IFPI Austria. Retrieved October 3, 2017. Enter The Weeknd in the field Interpret. Enter Starboy in the field Titel. Select album in the field Format. Click Suchen. ^ "Brazilian album certifications – The Weeknd – Starboy" (in Portuguese). Associação Brasileira dos Produtores de Discos. Retrieved 21 February 2017. ^ "Canadian album certifications – The Weeknd – Starboy". Music Canada. Retrieved July 26, 2017. ^ "The Weeknd "Starboy"". IFPI Denmark. Retrieved June 13, 2018. ^ "French album certifications – The Weeknd – Starboy" (in French). Syndicat National de l'Édition Phonographique. Retrieved October 3, 2018. ^ "Gold-/Platin-Datenbank (The Weeknd; 'Starboy')" (in German). Bundesverband Musikindustrie. Retrieved April 17, 2018. ^ "Italian album certifications – The Weeknd – Starboy" (in Italian). Federazione Industria Musicale Italiana. Retrieved November 13, 2017. Select "2017" in the "Anno" drop-down menu. Select "Starboy" in the "Filtra" field. Select "Album e Compilation" under "Sezione". ^ "Norwegian album certifications – The Weeknd – Starboy" (in Norwegian). IFPI Norway. Retrieved 13 February 2017. ^ "Polish album certifications – The Weeknd – Starboy" (in Polish). Polish Society of the Phonographic Industry. Retrieved June 17, 2018. ^ "Guld- och Platinacertifikat" (in Swedish). IFPI Sweden. Retrieved March 9, 2018. Type The Weeknd in the top right search bar. Click on "Sok" and select "Visa" under Starboy to see certification. ^ "British album certifications – Weeknd – Starboy". British Phonographic Industry. Retrieved December 16, 2016. Select albums in the Format field. Select Platinum in the Certification field. Type Starboy in the "Search BPI Awards" field and then press Enter. "Starboy by The Weeknd on iTunes". iTunes Store. Australia: Apple Inc. Archived from the original on September 27, 2016. Retrieved September 22, 2016. "Starboy by The Weeknd on iTunes". iTunes Store. Canada: Apple Inc. Archived from the original on September 27, 2016. Retrieved September 22, 2016. "Starboy by The Weeknd on iTunes". iTunes Store. New Zealand: Apple Inc. Archived from the original on September 27, 2016. Retrieved September 22, 2016. "Starboy by The Weeknd on iTunes". iTunes Store. United Kingdom: Apple Inc. Archived from the original on September 27, 2016. Retrieved September 22, 2016. "Starboy by The Weeknd on iTunes". iTunes Store. United States: Apple Inc. Archived from the original on September 22, 2016. Retrieved September 22, 2016. ^ "Starboy [CD] [PA]". Best Buy. November 28, 2016. Archived from the original on November 26, 2016. Retrieved November 25, 2016. ^ "The Weeknd – Starboy" (in Portuguese). Livraria Saraiva. Archived from the original on December 1, 2016. Retrieved December 2, 2016.